Many fish died as soon as they hit the water, while others choked in plastic bags. Many Hanoi residents released carp on Thursday into the city's ponds and rivers as part of a symbolic ritual, but for most of the fish, there was a high price to pay for their freedom. Many died as soon as they hit the water, while others suffocated in plastic bags. The ritual is an important tradition that takes place one week before the Lunar New Year. 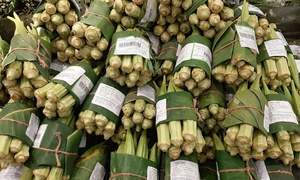 The idea is the fish will carry the Kitchen Gods to heaven so they can report to the Jade Emperor about what we've been doing this year. 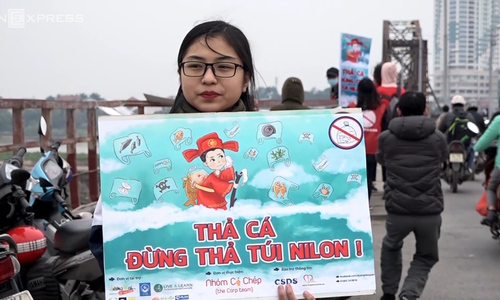 Since Wednesday afternoon, people have been releasing the carp into any convenient body of water, including the highly polluted Nhue and To Lich rivers. Some of the fish could be seen gasping for oxygen on the surface. Not to miss out on an opportunity, some people waited with nets hoping to recapure the live ones. 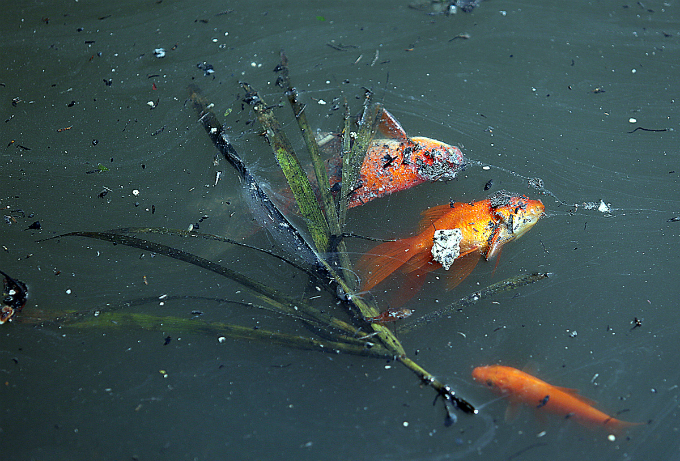 “I will feed them to the pigs, or sell them to people who keep ornamental fish,” said Nguyen. Nguyen was not the only one interrupting the tradition. A group of youngsters determined to keep pollution to a minimum gathered along bridges and around lakes holding posters asking people not to throw plastic bags in with the fish. Tran Thi Thuy, 68, also took part in the campaign to make sure the tradition was carried out in a “cultured” manner. Thuy said that the West Lake, the largest in Hanoi, had been filled with plastic bags and incense burners that were "released" with the fish in previous years. “Many people are actually throwing the fish to their deaths,” she said. Thich Tinh Giac, a monk, said that releasing carp is an act to honor life, so pollution should not be tolerated. “Releasing fish with other items destroys the meaning of the ritual,” he said. Many lakes and rivers in Hanoi are polluted. The problem entered the spotlight after more than 100 tons of fish washed up dead in the West Lake in October 2016. The city subsequently announced plans to spend VND16.2 trillion ($726.4 million) on a sewage treatment project. 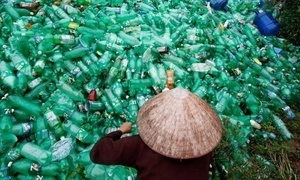 Vietnam is also one of the biggest plastic polluters in the world. In 2015, it was named among five countries that dump more plastic into the oceans than the rest of the world combined. 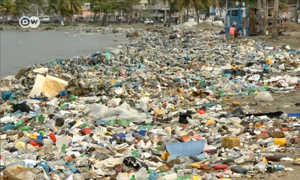 Ocean Conservancy, an environmental non-profit, said in a report that 60 percent of the plastic trash flowing into the seas originates from China, Vietnam, the Philippines, Indonesia and Thailand.